President Barack Obama has dealt with more than his fair share of criticism over the last four years. He has been accused of not being born in the United States and of lying about his religion. Every political move he makes is blasted by Republicans regardless of what stance he makes. It seems like no matter what President Obama does, someone somewhere will surely claim it is the worst decision ever and question everything about Obama and his policies. There are some who claim that Obama’s decision is what has cost him more bipartisan support. It seems as though some people think if Obama shakes one more hand every week or two, all of the political games Republicans play would stop. It is as if some of Obama’s critics truly believe that all the blockades put up by Republicans and all of their effort to not compromise at all on bills is due to Obama choosing to spend time at home with his wife and daughters instead of shaking hands and snapping pictures just a few more times. Once again this is a poor observation as these critics are dumping the whole situation on Obama’s lap. Do members of the Republican Party in the Senate and the House of Representatives really need a little more attention from Obama in order to make decisions that benefit Americans citizens and not only the Republican Party’s elites? 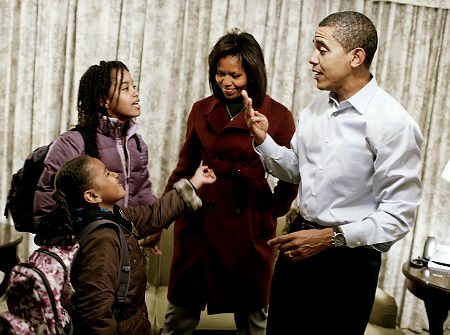 And even if these Republicans really are so upset that they are not getting more attention from President Obama, are they really so immature that they cannot respect that the man is spending time with his family? 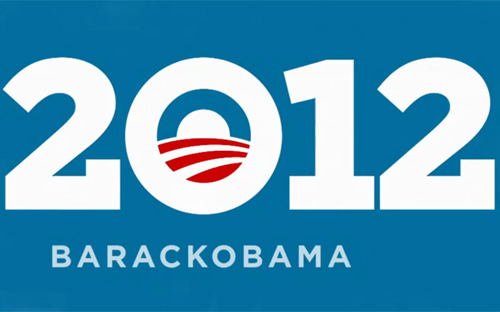 It is no secret that Obama wants to be Head of State for another four years. He admits that if more work is to be done, then he will need to appease the critics and give the Republicans the extra attention that they are so adamant about. But Obama is not taking all of the unwarranted heat. President Obama made it very clear that he hopes to see the critics on the Republican side to make real efforts to benefit all of the citizens of the United States and not only the wealthy Republicans. Regardless of what some people make see as good politics or being a good president, can anyone really fault Obama for being a dad? 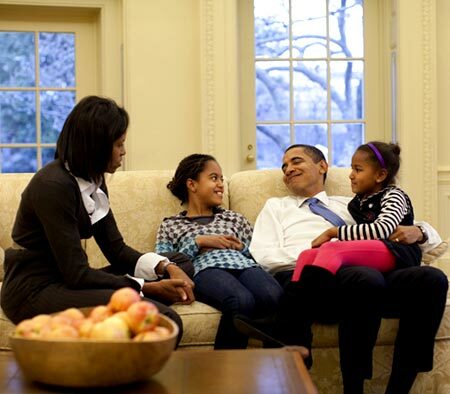 No matter what his job is, what kids wouldn’t want to spend time with their dad regularly? Republicans cling to any chance to slam Obama. Now they are slamming him for being a dad. It is surprising that such a conservative party that promotes traditional values and Christian ideals would be so critical of a man’s decision to spend time with his wife and children. Luckily for Obama, the screwy tactics of the Republican Party are not reflected on the left and barely evident in the middle. By the end of this week, Obama will have spoken in front of the Democratic National Convention. After that, we will be in the final stretch. We will see about eight more weeks of politicking and mud slinging between Obama and Romney. And in November, we will know the direction of the United States for the next four years. Will we continue to be run by a good man and a good father? Or will control be handed over to the party that promotes family values unless it benefits them to take back their word?